This is .270 Winchester 150gr. 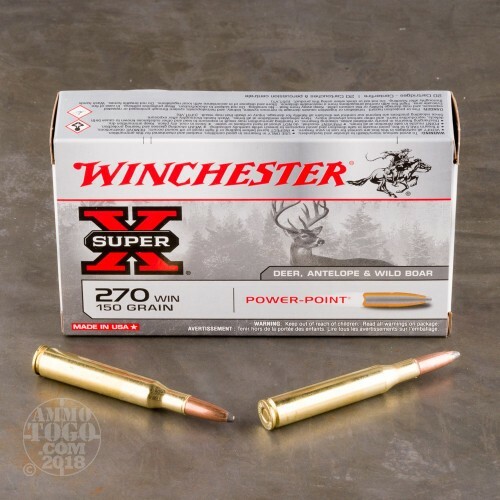 Super-X Power-Point Soft Point Ammo. 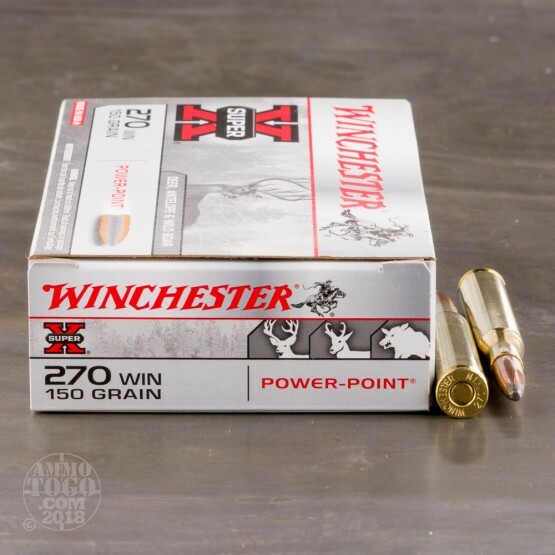 The Winchester Power Point bullet has a unique soft nose jacketed design, which delivers maximum energy at the target. It also has notches around the jacket mouth to improve and ensure uniform, rapid expansion. 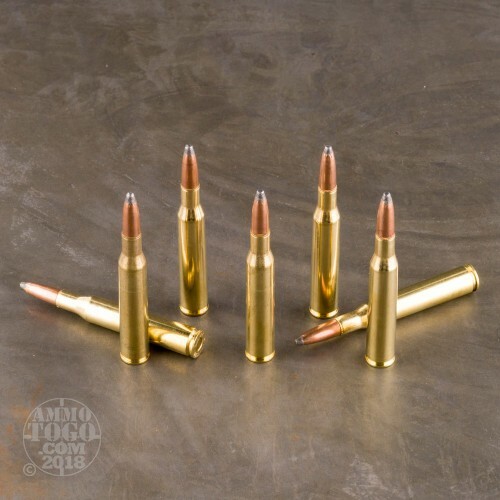 The velocity is 2850fps and the energy is 2705ft-lbs. 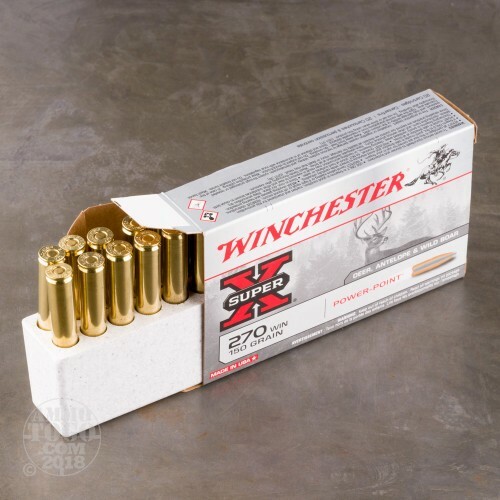 This ammo is packed in 20rd. boxes.